Discover the latest developments of MediaINFO Digital Library during the 23rd Annual Conference & Exhibition of the Special Libraries Association/Arabian Gulf Chapter, which will be held 7-9th of March 2017 at Diplomat Radisson Blu in Kingdom of Bahrain. 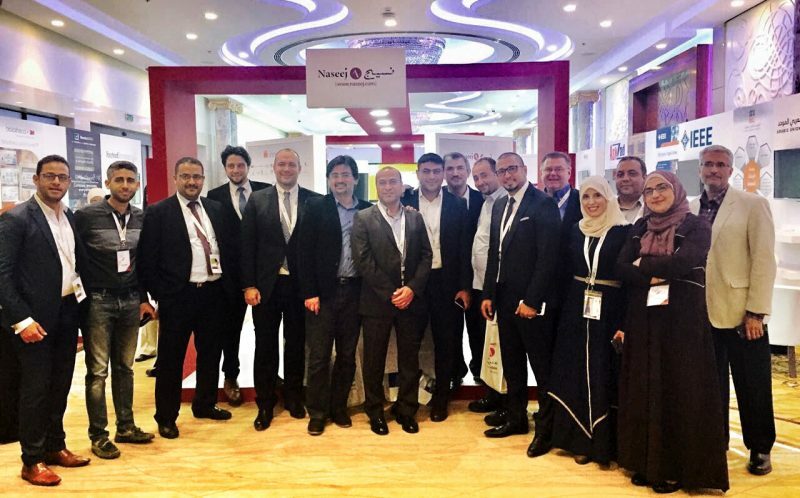 You will find us at a section covered by Naseej – Arabian Advanced Systems. With the theme “Quality of Library & Information Training and Educational Programs: The Road Map Toward Accreditation”, the conference is aiming to synergize with today’s innovative knowledge, alongside with the creativity of knowledge and information provision strategies, in respect to the changes in the techniques of human polarization of knowledge. This conference generally highlights important aspects of establishing the cultural knowledge and reinforcing, fundamentally, the development process of the society, especially that it is discussing a very specialized agenda that encourages productive thought in the field of Library Science and Learning Resources, hence, helping to provide integrated and advanced services to individuals that meet all their levels of technological and cultural differences, which already characterizes our today’s developed societies. It is a remarkable mission carried by Isa Cultural Centre (ICC) to awaken the spirit of open-mindedness and motivation toward innovation, creativity and the spread of the greatest human values, through introducing the cultural efforts which are manifested in its departments, one of them is the National Library which is considered the mainstream vessel that embraces the Bahraini intellectual heritage, and supplies the society with the utmost outcomes of human knowledge.